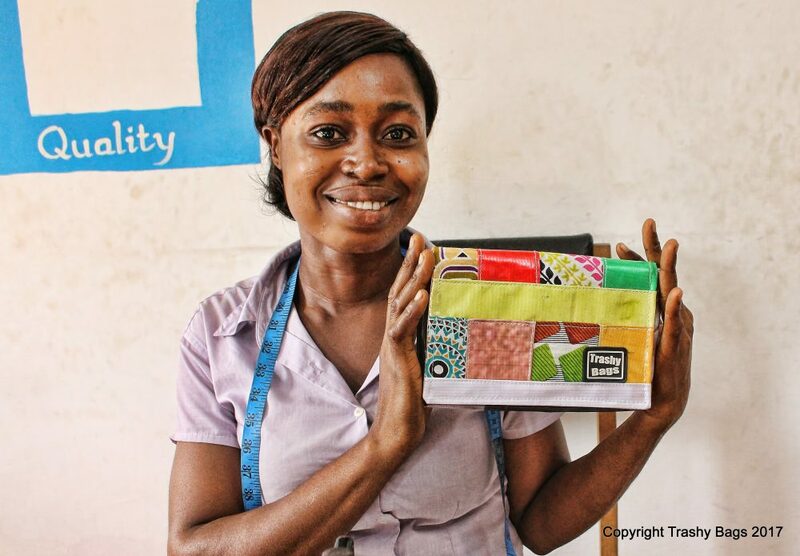 Trashy Bags is a social enterprise based in Accra, Ghana that makes recycled eco-friendly bags and gifts from plastic trash. 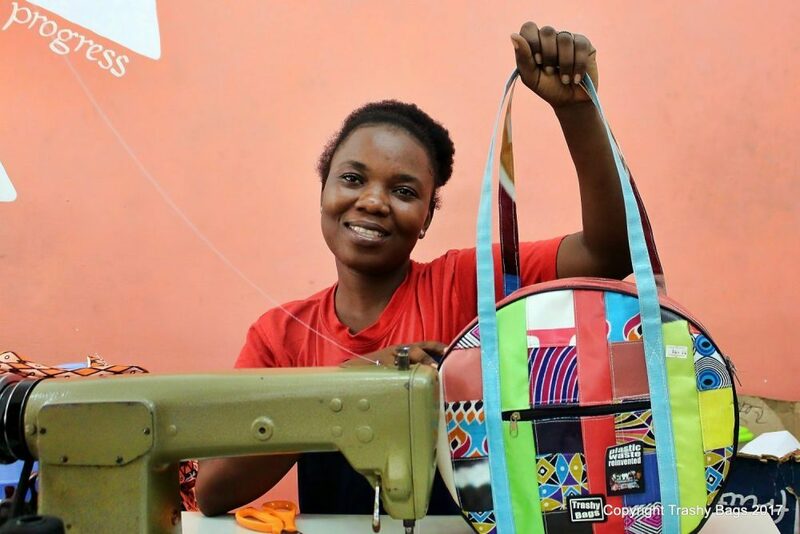 We employ over forty local people to collect, clean and stitch plastic trash in the form of sachets that have been previously used to contain drinking water and other drinks, into fashionable and useful bags and accessories. 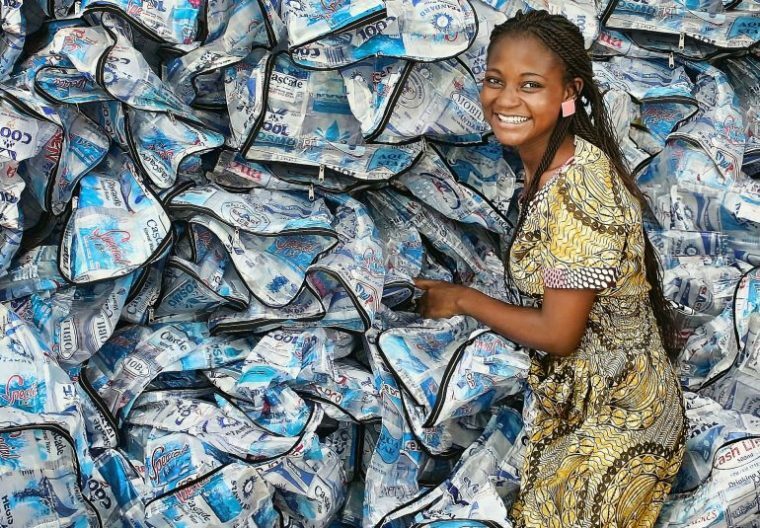 Plastic sachets have become a big problem across Africa because of the lack of recycling initiatives and waste management infrastructure. 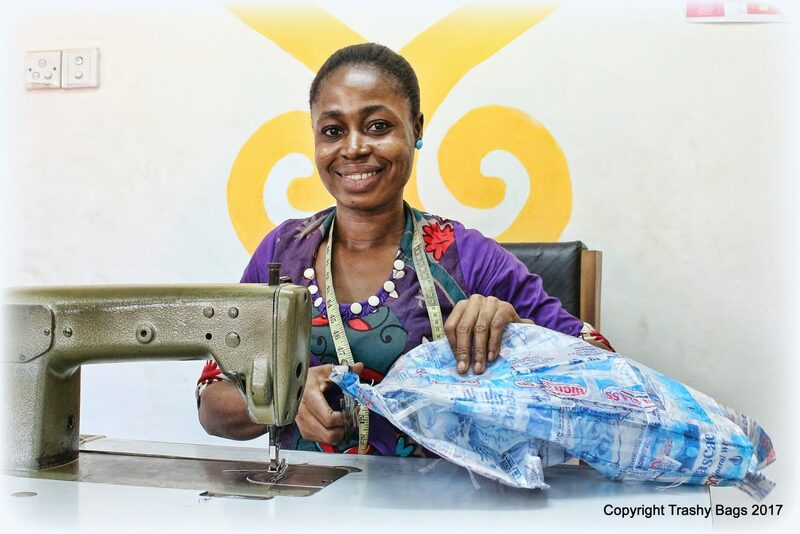 Trashy Bags is leading the way in sustainable development in Africa in the area of plastic recycling and we have collected and recycled approximately 15 million plastic sachets since we started in 2007. Every month nearly 200,000 plastic sachets are being collected and brought to Trashy Bags by a network of people who are obtaining an income from their efforts.